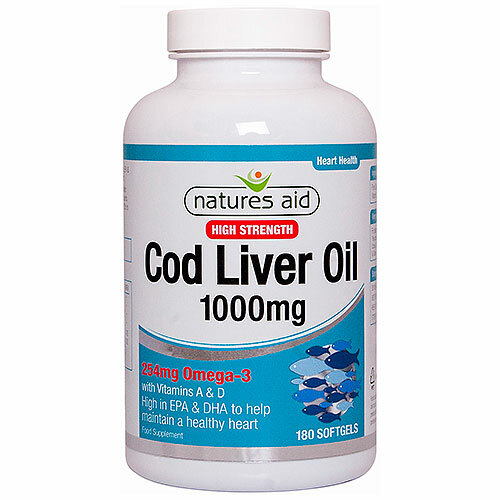 Cod Liver Oil is an excellent source of Vitamins A and D which contribute to the normal function of the immune system. Vitamin D also contributes to the maintenance of normal teeth, bones and muscle function, whilst Vitamin A contributes to the maintenance of normal skin and vision. Natures Aid Cod Liver Oil has been molecularly distilled to remove pollutants such as heavy metals (including mercury), dioxins and PCB’s to ensure ultimate purity. Pure Cod (Fish) Liver Oil, Gelatin, Glycerine, Vitamin A Palmitate, Vitamin D3 Prep (Cholecalciferol in vegetable oil). 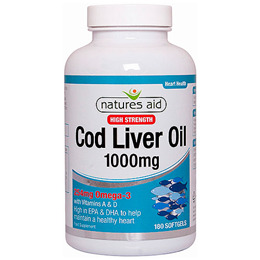 Below are reviews of Natures Aid Cod Liver Oil - 180 x 1000mg Softgels by bodykind customers. If you have tried this product we'd love to hear what you think so please leave a review.